Because my students will become professional engineers in the future, my goals of teaching are (1) to equip students with the ability to identify and solve real-life problems, (3) to equip students with the ability to learn new knowledge that is changing all the time, and (4) to prepare them to become preferred graduates. In this information era and fast changing world, it is commonly believed that knowing how to learn and how to acquire new knowledge is more important than merely memorizing the facts and knowledge that are bound to become obsolete in a short time. I believe that learning is possible for anyone if teaching is effective. This means that we should try different ways of helping students to develop an understanding. We should also check their understanding through assignments, test, examination, and presentation. It is very important for a teacher to motivate students, to communicate a passion for learning, and to adapt to students’ needs as they progress. To these ends, I not only identify the interest of my students and pursue their interests, but also identify what I believe they should be interested in. I also instill in students the excitement that I see in engineering and to encourage students to link the knowledge that they acquire in classes to real-life problems around them. Table 3 in Section 3 lists the subjects that I taught in the past two years. For all of these subjects, I developed the presentation materials, tutorial exercises (with answers), handouts, written assignments, computer assignments, and laboratory exercises (see Teaching Materials). I particularly emphasized on computer exercises and laboratory sessions. 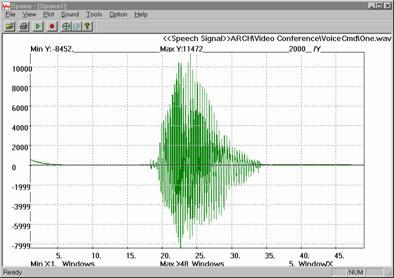 For example, I have developed a speech analysis tool to facilitate students to analyze their own speech during laboratory sessions (see Appendix A). For subjects involving full-time students only, I provided additional tutorial sessions to strengthen students’ understanding on the subjects. I have supervised over 25 undergraduate project students since 1997 and over 10 postgraduate project students since 1993. KU, K.W.C. 1999. "On the Combination of Local and Evolutionary Search for Training Recurrent Neural Networks," PhD Dissertation, The Hong Kong Polytechnic University. LU, Y.L. 1996. "Improved Recurrent Learning Algorithms and Their Applications," MPhil Dissertation, The Hong Kong Polytechnic University. 1. YEUN, C.L. 1999. "RASTA Channel Compensation for Speaker Verification System," MSc Dissertation, The Hong Kong Polytechnic University. 2. HO, S.K. 1999. "Advanced Time-Frequency Analysis For Speech Processing," MSc Dissertation, The Hong Kong Polytechnic University. 3. WONG, C.K. 1998. "Text-Independent Speaker Verification Based on Vector Quantization," MSc Dissertation, The Hong Kong Polytechnic University. 4. LAM, C.L. 1998. "Evaluation of Feature Extraction Methods for Speaker Verification," MSc Dissertation, The Hong Kong Polytechnic University. 5. PANG, T.H. 1998. "Speaker Verification using Optimized Radial Basis Function Networks," MSc Dissertation, The Hong Kong Polytechnic University. 6. YUEN, S.K. 1997. "Variable Rate Code Excited Linear Predictive Coding of Speech," MSc Dissertation, The Hong Kong Polytechnic University. 7. WONG, C.B. 1997. "A Text-Independent Speaker Verification System based on Gaussian Mixture Speaker Models," MSc Dissertation, The Hong Kong Polytechnic University. 8. MA, W.H. 1997. "A Study of Conjugate Gradient Recurrent Network on Time Series Problems," MSc Dissertation, The Hong Kong Polytechnic University. 9. CHOW, K.W. 1996. "Using Genetic Algorithms for Searching Radial Basis Function Centers," MSc Dissertation, The Hong Kong Polytechnic University. 10. KO, T.L. 1996. "Investigation of Spatio-Temporal Networks for Temporal Sequence Recognition," MSc Dissertation, The Hong Kong Polytechnic University. 11. Chang, W.F. 1995. "A Conjugate Gradient Learning Algorithm for Training Recurrent Neural Networks," MSc Dissertation, The Hong Kong Polytechnic University. 12. LAI, K.W. 1995. "Optimization of Radial Basis Function Networks for Pattern Classification," MSc Dissertation, The Hong Kong Polytechnic University. 13. TUNG, C.H. 1995. "A Study of Phoneme Synthesis With Neural Networks," MSc Dissertation, The Hong Kong Polytechnic University. Note: MSc Project Nos. 9 and 11 have led to a conference paper and a journal paper respectively. Tables 1 and 2 respectively show the achievement of my previous and current postgraduate students. As I pay particular attention to the theses’ quality, all of my postgraduate students graduated with journal publications. I also requested my PhD students to publish papers in top-class journals. For example, Ku Kim-Wing has two papers accepted by IEEE Transactions before graduation. Dr. Ku has published three journal papers, one book chapter, and five conference papers. Mr. Yiu has published one journal paper and six conference papers. Ms Lu has published one journal and three conference papers. Table 1: Achievement of my previous postgraduate students. Mr. Yiu has published one journal paper and four conference papers (many in top conferences) since registration. His PhD registration has been confirmed. Mr. Cheung has published two conference papers: one in ICASSP’03 and another one in Eurospeech’03. Both of these conferences are top conferences in the field. Table 2: Achievement of my current postgraduate students. Work Done: I have involved in proposing and revising the syllabi of a number of subjects, including Neural Computation, Software Engineering, Speech Processing, Speech and Image Processing, and Computer System Principles. In 2002, I proposed and design the syllabus the subject Software Engineering for Web Applications (EIE420); and in 2003, I proposed and designed the syllabi for the subjects Object-Oriented Design and Programming (EIE320) and Distributed Systems and Network Programming (EIE421). The design of these syllabi not only allows me to know the state-of-the-art in the fields but also gives me the opportunity to look at the whole course in detail. Results of This Work: The new syllabi were endorsed by the Programme Committee without any revision. So far, I do not receive any complaints from students in Student Feedback Meetings. I have been the adviser of 13 BEng students since 2000. I am responsible for providing advice in subject selections, interview techniques, handling workload, and studying approaches. I am also the mentor of 4 undergraduate students since 2001. I am the supervisor of an industrial project. The student has the opportunity to present his work to the engineers of a local electronic company. The results of the project will be integrated into the company’s future products. Working with the engineers of a company can strengthen the student’s communication skill and improve his sense of responsibility. Table 3: Teaching Duties in the past two years and the SFQ scores. I taught Software Engineering the first time in 1997. At that time, the average SFQ score that I obtained is about 2.8. Realizing that this subject is particularly difficult to teach (because students have never come across large software systems before, some of them even do not have programming concepts), I conduct a survey to find out the parts of the subject in which most students have difficulty. Based on the survey results, I re-organized the lecture notes in 1998 and paid special attention to those difficult parts. Because of this rearrangement, many students started to find the subject manageable; as a result, the SFQ for this subject was increased to 3.0 in 1999. The scores are further improve to 3.5 and 3.7 in 2000 and 2001, respectively. While in 2002, the score fell to 3.1, I believe this is due to the splitting of the subject into two parts so that it can be taught by two lecturers. Dividing the subject into two parts is, in fact, not a good idea, because Software Engineering is the kind of subjects that need coherency. Software Engineering is the only subject that I do not use multimedia teaching approaches. This is because most of the Software Engineering concepts are concerned about large software systems and software management. These abstract concepts require students to have a good command of English. Because of these difficulties, I developed several laboratory sessions to help student understand the concepts of requirement analysis, object oriented design, and software design. I have different approaches to whole class teaching (more than 30 students) and to small group teaching in tutorial sessions (less than 30 students). · I start each lecture with a short, multiple choice quiz testing my students’ understanding on the materials that I taught in the last lecture. Alternatively, I give students short, multiple choice quizzes at the end of my lectures. For the former, I discuss with them the answers right after the quiz. On the other hand, For the latter, I discuss with my students at the beginning of the next lecture. I find that this method can encourage students to (1) attend my lectures on time, (2) focus on my lectures instead of talking with their classmates, and (3) ask questions whenever they have difficulty in understand my presentations. This method also encourages students to study the course materials throughout the whole semester as opposed to memorizing all materials before examinations. · I give them a short homework almost every week. I find this method also helps students to focus on my lectures. · I sometimes give out handouts with missing words, sentences or graphs so that students have to fill in the missing items. I find that this approach helps students to awake during my classes. · For students making noise or talking with their classmates in my classes, I will stop my presentation immediately and ask those students if they have questions. While the usual reply is “no questions”, students focus on my presentation immediately. I give students “open end” problems for discussion. Students are requested to form groups and will be asked to present their solutions after a short discussion. This gives students plenty of presentation opportunities. I take time for questions and answers to ensure that all students are keeping up so that any difficulties will be addressed. I arrange extra tutorial sessions for students who find the subject materials difficult. For full time students, 18 hours of extra tutorials will be given. I find that the extra tutorials are well attended and appreciated. I also give students “exam-oriented” questions when examination date is approaching. Students could ask me questions regarding these questions during the extra-tutorial sessions. Therefore, in addition to supplying students the basic knowledge, I also provide them with open-end questions (e.g. requirement engineering projects in SWE) and encourage them to discuss the problems with their fellow classmates during tutorial sessions (e.g. brain storming sessions for the homework on requirement engineering). At the end of the tutorial sessions, students are encouraged to present their approaches to solving the problems. I believe this practice not only enables students to digest the static facts of the subjects, but also provides them an opportunity to practice professional presentation. I have a comprehensive set of notes that allow the “not-so-capable” students to follow the subject materials. I also have a set of tutorial questions that are in similar format to the examinations. As these materials may encourage students to memorize the materials without understanding them, I particularly emphasize on open-end questions in the mini-projects and group projects. I believe that the combination of both “easy-to-follow” and “open-end” questions can help students to learn the knowledge and at the same time know how to learn and find relevant information by themselves. Lab sessions allow me to talk to students individually. While I will ask my RA/RS to supervise the lab sessions, I attend the lab during the first 45 minutes and discuss with students. Through this interaction, I can demonstrate the approach of addressing students’ problems during a lab session to my RA/RS. Once I am confident that my RA/RS are capable of supervising the lab sessions, I stand by in my office and my RA/RS will give me a phone call whenever there is a problem that they cannot solve. At the end of the lab sessions, I will go to the lab to see the progress of my students and request my RA/RS to give me a verbal report. I also select some students to present their lab report. While it is impractical to ask all students to give presentation, I will give useful feedbacks to those who gave presentation and point out the common problems of their presentation. I believe that my suggestion will also be beneficial to other students because some mistakes made by the students are very common. For example, about one-third of students do not have any eye contact with their audiences. In recent years, I have developed and used a number of multimedia learning tools for improving students’ learning (see http://www.eie.polyu.edu.hk/~mwmak/Download.htm). These tools aim at providing students another channel for exploring and understanding the subjects. Through these tools, students can set up a number of “what-if” situations. I believe students’ ability in problem identification could be improved by setting up the what-if situation themselves. I received a number of enquiries about these software tools from overseas universities and students, and some of them also requested the source code of the software. The software is also highly appreciated and used by Prof. S.Y. Kung, my research collaborator from Princeton University. I used multimedia presentations whenever the multimedia approach is beneficial to learning. For example, I incorporated speech clips in my PowerPoint presentations to assist students to understand the speech production model, speech coding, and the hidden Markov model. Appendix B shows some examples of my multimedia presentations. As most of my presentation and teaching materials involve computer animations, and some of them also provide speech samples for students to conduct listening tests, I put all the materials in my homepage http://www.en.polyu.edu.hk/~mwmak/myteaching.htm. This approach enables my students to download the presentation files and playback the sound files and animations at home. Wherever appropriate, I incorporate my research results into my teaching. For example, I incorporated most of my research results in radial basis function networks in the subject “Neural Computation (EIE520)”. I also embedded the materials obtained from my speech and speaker recognition research in the subject “Speech Processing (EIE533)”. I also include the contents of my consultancy reports in the lecture notes whenever appropriate. For example, the speech coding part of the subjects Speech and Image Processing (EIE421) and Speech Processing (EIE533) is based on my constancy work. I believe that employers demand their employees to have the kind of knowledge that I acquired in these consultancy projects. Moreover, the consultancy reports also contain state-of-the-art practices in the fields that I teach. By having this knowledge, students are well prepared for their future job after graduation. I design and define the software structure for my research work. I always use my software design and programming experiences in the teaching of software subjects, such as Software Engineering (EIE318) and Software Engineering for Web Applications (EIE420). This allows students to understand the “good practices” in software engineering. I identify common mistakes and problems in student assignments. After finishing the marking of assignments, I will give students an email highlighting their common mistakes (click here for an example). Knowing the mistakes of their own and those made by their classmates allows students to understand the subjects better. “Sharing of Good Practices – Lunchtime Discussion Session for FENG”, 23 Aug. 1999. “Keeping Students Awake in Class”, Sept. 2000. “Evaluating Teaching: How Do Student Judge Our Teaching? The Criteria and Evidence That Students Use in Making Ratings on the SFQ”, Sept. 2000. “The Use of Problem-Solving and Problem-Based Learning Activities in Large Classes”, Sept. 2000. Teaching Portfolios: Why and How, June 2003. I introduce short MC quizzes for almost every lecture. These quizzes can help my students to focus during the lecture. I introduce open-end questions in assignments. 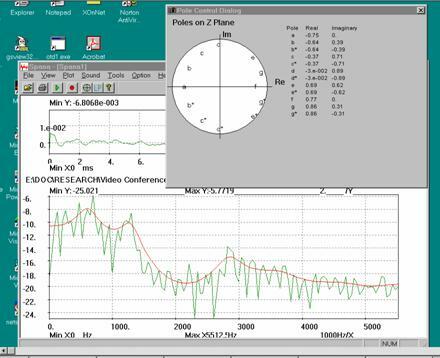 A speech analysis software package has been developed to help student investigate the effects of the LP poles on the spectral envelope. Some typical screen displays are shown in the figures below. 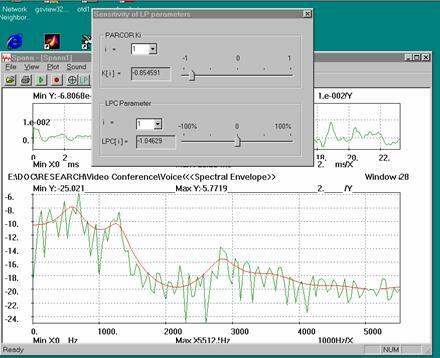 Other features of the software include displaying LP coefficients, cepstral coefficients, prediction error, and 3-D cepstral envelope, etc. For full details and download, click here. Students can explore the effects of varying the pole locations on the spectral envelope. 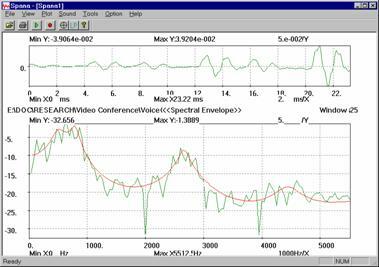 Students can explore the effects of varying the LP and PARCOR coefficients on the spectral envelope. I have used the software package available in the book “Barnwell III, T.P. et al. Speech Coding: A Computer Laboratory Textbook, Join Wiley & Sons, Inc., 1996.” This tool allows student to set up various “what-if” situations, enabling them to explore the effects of varying the coders’ parameters on the quality of the encoded speech. I have used a public domain neural network simulator developed in the Institute for Parallel and Distributed High Performance Systems at the University of Stuttgart, Germany to help student learn the basis concepts of radial basis function networks. In particular, a special laboratory procedure has been designed to teach student how the RBF networks can be applied to function interpolation and pattern classification. Students can listen to the sound produced by exciting the all-pole filter with different excitation signals. Students can listen to different segments of speech and appreciate how the HMM works.